You might feel exceptionally confident as the week begins thanks to a great deal of support from Saturn and some wonderful Leo energy! On Tuesday, the Sun will trine Saturn in Scorpio, helping you to focus your will power and shrewd instincts toward achieving a goal that requires deep focus. Mercury will trine Saturn on Wednesday, helping your mind concentrate on the most demanding subject matter. Decisions made will be firm! The Sun also enters Leo, bringing a ray of sunshine for everyone. Thursday Mercury follows suit, allowing the mind to fill with joyful thoughts as he moves through Leo until August 7. 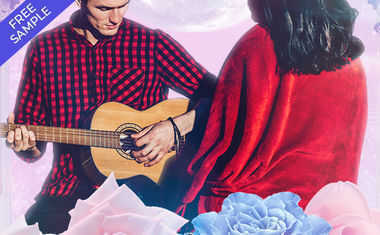 The Sun conjunct Mercury in Leo ensures that you'll focus on planning something fun, thinking about romance, or enjoying conversations about a creative project. Then, on Saturday, Venus turns retrograde in Virgo. You will become much more discerning in love, but may need to overcome some areas where you simply worry too much about things you cannot control. Mars will square off with Uranus Saturday, then Sunday Uranus turns retrograde -- watch out. Tempers may flare and you can most certainly "expect the unexpected." Don't let all these retrogrades confuse your love life! Get to the bottom of what's really happening in your relationship with a Relationship Analysis Tarot reading.